The holiday of Cinco de Mayo is a memento from Mexico’s turbulent past. In 1862, a cabal of clergy and wealthy hacienda owners who had been dispossessed by the reforms of President Benito Juarez invited a French army to invade Mexico. On May 5, 1862, this invading army was thrown back from the city of Puebla, taking severe losses, which is the battle memorialized today as Cinco de Mayo. Margaritas, of course, are a must. The margarita is one of the world’s great cocktails: smooth and tangy-sweet, it goes down easily and tastes like more. This Hibiscus Margarita is made with a gorgeous fuschia-colored infusion of dried hibiscus, also known as flor de jamaica (pronounced ham-í-ka). Hibiscus has a sweet-tart taste that blends deliciously with a good, smooth tequila and a hint of cinnamon sugar. The syrup is also delicious as an agua fresca, poured over ice and topped off with sparkling or still water and a squeeze of lime. The infusion is rich in Vitamin C and flavonoids, a great nutritional bonus while you enjoy your margarita. Combine sugar and cinnamon on a small plate. Rub rim of glass with lime wedge. Dip the rim of the glass in the cinnamon sugar and shake off excess. Fill a 12-ounce glass with ice and pour over the tequila, hibiscus syrup and top up with sparkling water. Stir carefully. Squeeze the lime on top of the drink and discard it. Garnish with a fresh wedge of lime, or a cinnamon stick. Chill a 7-ounce martini glass, and prepare the rim as described above. 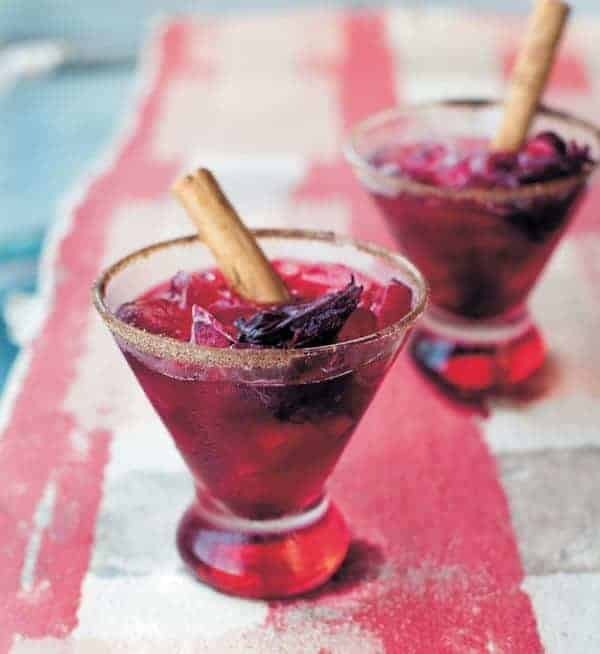 In a shaker jar combine ice, hibiscus syrup and tequila, along with 1 tablespoon Cointreau or Grand Marnier. Shake well for 15 seconds and strain into the glass. Garnish with a thin slice of lime. Use as a base for drinks, or freeze into a delicious sorbet. Combine all ingredients and simmer over low heat until sugar is dissolved, stirring often. Cook at a slow simmer for 30 minutes. Let stand 2 hours (or as long as overnight) and strain, pressing down on the flowers. Keeps indefinitely refrigerated. 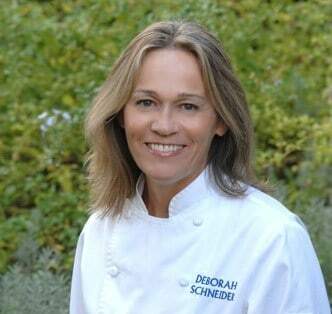 Chef Deborah Schneider is the executive chef and partner at SOL Cocina in Newport Beach, California and Scottsdale, Arizona. 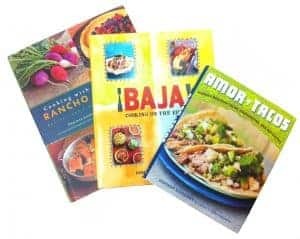 She lives in San Diego with her family, married a surfer, and began exploring nearby Baja where she found her love for Mexican food. She worked her way up through the professional kitchen brigade, eventually leading some of San Diego’s finest kitchens and receiving her Certified Executive Chef designation from the American Culinary Federation in 2001. Chef Deb has been with MexGrocer.com since April 2012.